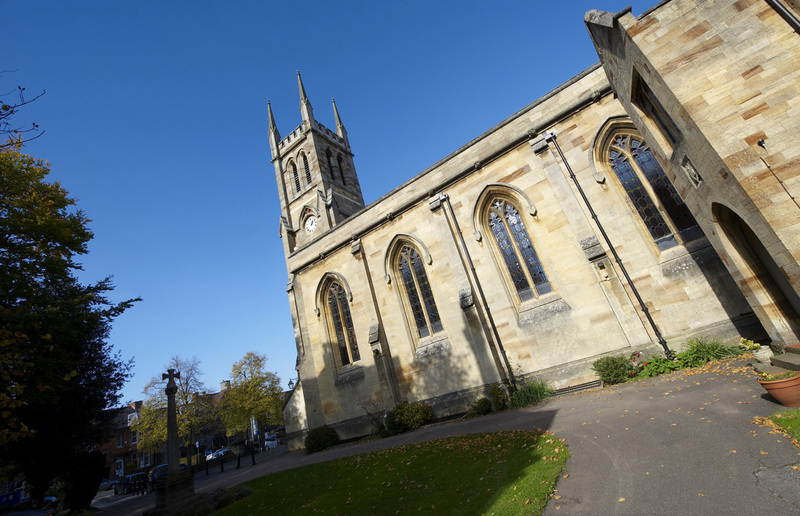 Saint John the Evangelist is a vibrant parish in the heart of the Oxfordshire countryside. Our church is open each day, not only for liturgies, but also for private prayer and meditation. If you are in Banbury, please come and visit our beautiful church. St John's church, constructed in 1838, was one of thirty-five Catholic churches built in England between the years 1837 & 1845 and is a great witness to the growth of the Catholic Church in this area at the time. It was designed by the Oxford-based architects Hickman and Derick. The furnishings in the Sanctuary and stained glass windows are however, attributed to Augustus Welby Pugin. Inevitably the church has been reordered and various re-decorative alterations have taken place during the history of St. John’s. The most recent, in 2010, saw the restoration of colour schemes that are more in keeping with Pugin’s original designs. A more detailed history of our parish, entitled A Heritage Preserved, is available from the parish office.